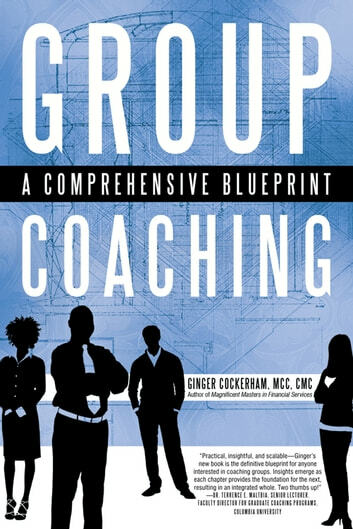 My longtime colleague Ginger Cockerham has provided a must-have/must-read blueprint for all coaches who want to launch and thrive in a group coaching practice. Even those considering their options would do well to consult this step-by-step model, complete with a rich set of examples and case studies. It’s all here, presented with a clear and engaging approach. Ginger is the definitive expert and master of this realm of coaching. Her book reflects her commitment to learning, impact, and excellence in group coaching. Ginger has done a magnificent job in creating a practical and up-to-date approach to successfully coaching groups. Not only has she provided excellent tools, but she also shares case studies that bring the tools to life. This book is a must-have for anyone that is considering coaching groups. If you want to be a great coach either in private practice or as a team leader in an organization, then you must study and live this book on group coaching by Coach Ginger. With this book you will learn, step-by-step, how to create vibrant winning environments for people through the group coaching experience. With these tools you will attract the right players to your team, create a deep sense of community and provide a forum for shared wisdom, full self-expression, and extraordinary results. Read it. Live it. Share it. Whether you want to become a coach or just want to improve your coaching skills, Group Coaching can help you create a successful and sustainable business helping individuals, companies, and organizations achieve their objectives. • marketing strategies to attract ongoing groups to coach. As you explore multiple group coaching case studies and models from experienced coaches and coach teams, you’ll discover how to create an environment of collaboration. This, in turn, helps your clients enhance their creativity and success. Get insider information on what works well and what to avoid in group coaching with this detailed guidebook. Equip yourself with the tools and knowledge you need to excel as a coach with Group Coaching: A Comprehensive Blueprint.